The Chrysler 200 has been living on borrowed time for a long time. Now, thanks to The Detroit News, we know that Friday, December 2nd, is the official date of the sedan’s death. The plant that built the car, the Sterling Heights Assembly, located in Sterling Heights, Michigan, will be shut down as it prepares to take on production duties for the Ram 1500 pickup. Most of the plant’s 1,700 hourly workers will be temporarily laid off, although some skilled workers will be kept to help retool the factory. The good news is that the death of the 200 is going to bring news jobs to Sterling Heights. The Detroit News reports that there were 1,900 employees there in July of this year. FCA is estimating that there will be 4,600 workers once the plant reopens. There is no set date yet for said reopening, as the retooling will most likely take almost all of 2017 to complete. Also, not all the jobs added at the plant will be new as some workers will be migrating from FCA’s Warren Truck Assembly plant some 10 miles away once the Ram 1500 starts rolling off the Sterling Heights line. It’s unfortunate that the Chrysler 200 had to go out this way. After a week with the mid-size sedan we learned that it was underwhelming but not awful. That’s nowhere close to a ringing endorsement, though, especially in the fiercely competitive mid-size sedan segment. 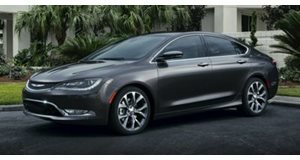 The death knell of the 200 leaves Chrysler with only two models in its lineup: the new Pacifica minivan and the 300 sedan. This makes us wonder just what the future of Chrysler holds. Is FCA content to just continue running out two models or will it try to add another car or SUV down the road? Is Chrysler destined to quietly fade away into the FCA fold as Ram, Jeep and Dodge assert sales dominance? Is anything imported from Detroit anymore?! We’ll ask Chrysler these questions at the 2017 Detroit Auto Show. For now, our hearts go out to the Chrysler 200, the little sedan that just couldn’t. R.I.P. This is one car you can't help but feel sorry for.